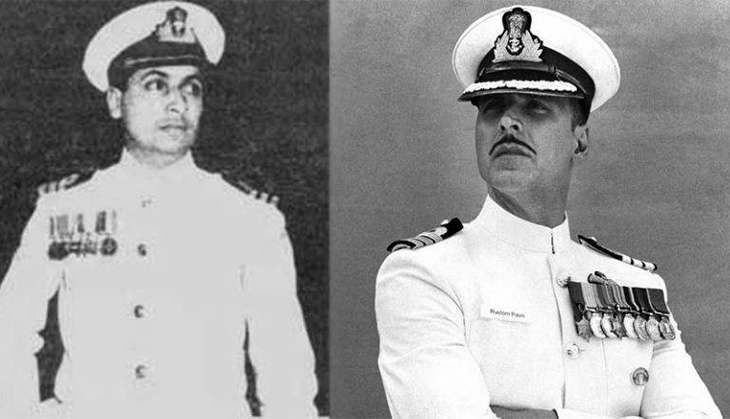 Akshay Kumar's Rustom brings the Nanavati trial back into public. But what has it missed? Rustom hits screens ahead of Independence Day - but why is it important? Imagine a decorated naval officer, his attractive English wife, and a suave Casanova. Now mix it all up in an upmarket neighbourhood of a cosmopolitan city. It becomes a deadly cocktail of illicit affairs, brutal revenge, and subtle invoking of societal values. These were the chain of events that started when on 27 April, 1959, Commander Kawas Maneckshaw Nanavati visited Deputy Commissioner of Bombay Police and admitted that he has shot Prem Ahuja because of him having an affair with Nanavati's wife Sylvia. This is the premise of Rustom, the film which released on Friday amidst a lot of fanfare and expectations. The reviews for the film are mixed. However, the incident should not be judged by the film or its review. The Nanavati incident was the last jury trial in India, Time and New Yorker reported it, two movies (Yeh Raaste Hain Pyaar Ke and Achanak) were made, and it even found mention in Salman Rushdie's Midnight's Children and Indra Sinha's Death of Mr Love. Rustom is important because the Nanavati case was possibly the first time when media activism, courtesy the magazine called Blitz, in India showed its full might by influencing large sections of people to support Nanavati. Opinions were swayed by simply by whipping up nationalistic and populist sentiments. It was a precursor to modern day high pitched television journalism that seeks justice. The movie should also be viewed keeping in mind how opinion and jingoism took precedence over reporting in Indian journalism. The total episode is aptly covered in the book Mumbai Fables, written by Princeton historian Gyan Prakash. "When the trial opened on 23 September,1959 Blitz dramatised the case as a soap opera of morality and patriotism and played it on the stage of mass culture. The three chief protagonists were- a dashingly handsome naval officer devoted to the nation, his beautiful but impressionable wife; and an ultramodern, wealthy and wily Lothario, who had wronged not just Nanavati but India itself by seducing a married woman while her husband sailed the seas in defense of the nation," writes Gyan Prakash. Russi Karanjia, (portrayed by Kumud Misra in the film) the editor of Blitz, had an irresistible knack of sensationalising and spicing up stories. The wide readership of Blitz helped the Nanavati's. But the fact remained - Nanavati had committed a murder. Blitz headlines during the trial were "Tragedy of the Eternal Triangle", "Sylvia Nanavati Tells Her Story of Love and Torture", "Let the People Rally to the Defence of Nanavati", and "Three Shots That Shook the Nation". The courtroom drama was hysterically portrayed using photographs. Nanavati was defined as the handsome officer, dressed in his white starched uniform and who has served half of his life for the nation. Sylvia was 'clad in a white sari and blouse - an image of purity - and speaking in a voice choked with emotion'. Throughout the trial, Blitz towed Nanavati's claim, that during a struggle the gun accidentally went off killing Ahuja. However, Karanjia's role has taken a backseat in the movie, as per the reviews. Blitz print circulation allegedly soared to 1,52,000 during the trial. Public sentiments favoured Nanavati, hawkers started selling replicas of the revolver, thousands poured into the courts to witness that drama that shook the nation. Chants of 'Nanavati Zindabad' were common. 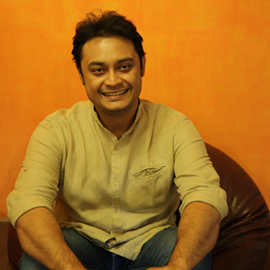 Blitz had successfully portrayed Nanavati as the Hero. Tenets of reporting and journalism took a backseat. Blitz took up the baton of morality, and Nanavati's bullets represented the middle-class conscience. Nanavati represented patriotism, and Ahuja represented corruption, capitalism, immorality. And in this trade-off - facts and legality were lost. But Nanavati was influential. In no way, was he the victim of bourgeoisie conspiracy or upper-class derision. Courtesy Blitz, he got the support of Nehru, the Governor, the Navy Chief apart from countless Indians. That is what the movie has missed out on. The question is - is the release of Rustom close to Independence Day a nationalistic ploy to whip up a favourable response? TWEET THIS Akshay Kumar's Rustom brings the Nanavati trial back into public. But what has it missed? Rustom hits screens ahead of Independence Day - but why is it important?